Hey everyone! 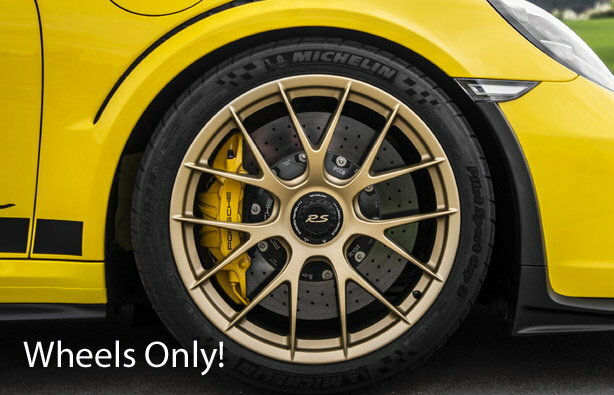 I've got an extra set of gold magnesium wheels from my gt2rs that are new and still sitting in their boxes. Looking to sell them! They're $47k new and suncoast asks $37k for them so I want $35k for them....They're just like these! wow.. I can buy a decent car with a set of those wheels! Maybe the newly price reduced TESLA 3. The magnesium wheels from BBS, whom I believe makes them for Porshce, are less than this I believe. Yes, they are $20,000.00. If they are new in boxes, that's what I'd pay for them as they are $13,000.00 on the configurator. The BBS aftermarket Mags are slightly different in design (spokes and labeling) than the GT2 RS wheels. Also, the $13,000 price on the configurator is not for a set of wheels - it is the amount extra you must pay to upgrade the included standard wheels to Mag. But really you must pay $31,000 more than you have to pay for Aluminum wheels, as the Weissach package is a prerequisite for the Mag wheels. Are these the Mag Wheels that Porsche sent you after delivering your car with standard wheels because the Weissach package wheels were not ready at the time of ordering? Someone really wanted those wheels.